F7 236 hauls freight past the station. 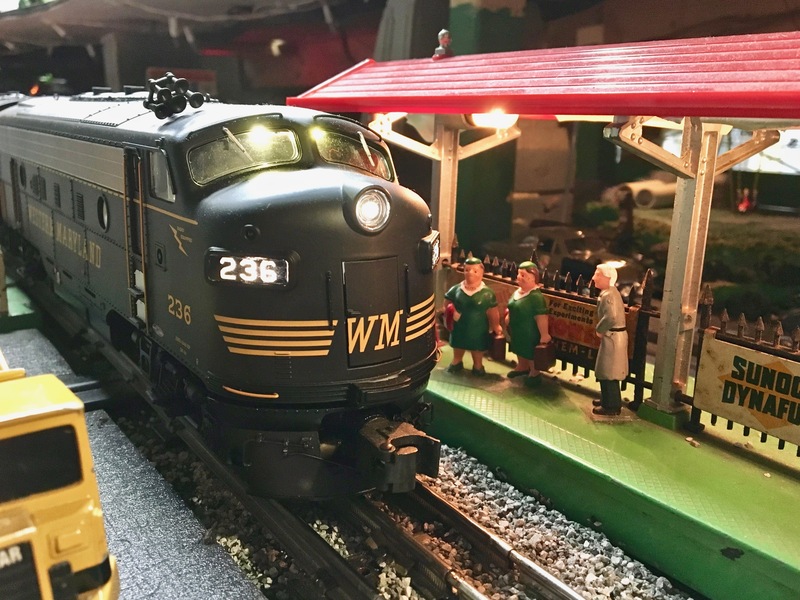 Locomotive is a Lionel Legacy unit. Added to the photo archive by Bill Hakkarinen, March 5, 2018.